This my Nan, Lil Perry, nee Wood, second from the left, at work in a factory. It was probably taken at Benton and Stone’s, Aston in the late 1950’s. 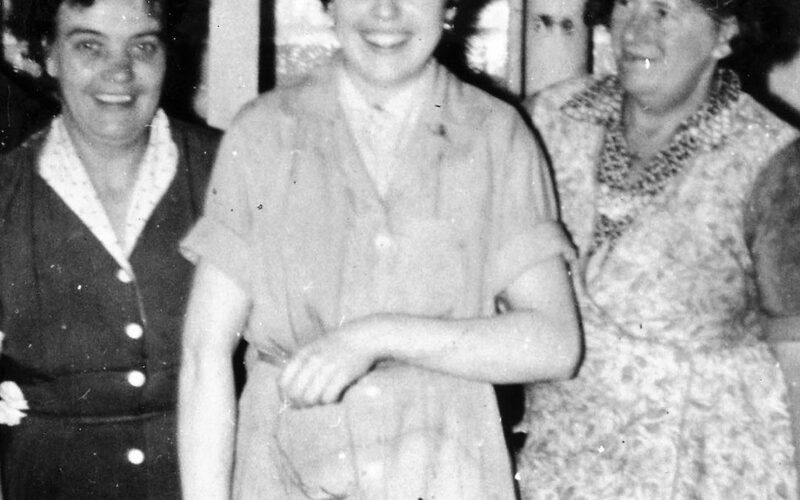 The index finger on Nan’s right hand is missing – she lost it in an accident with a power press in ’54.